Matunuck Oysters are grown in the salt pond of Potter Pond and Potter's Cove By Oysterman Perry Raso. Perry's Oysters have a nice "Fresh Briny flavor with a Sweet tastin'" finish. These Oysters have a lot of flavor! Matunuck Oysters Ore Grown in Salt pond and Potter's Cove By Oysterman Perry Raso. Perry's Oysters have a nice strong "Briny flavor with a Sweet tastin'" finish. These are a Great cocktail oyster, that have a lot of flavor! 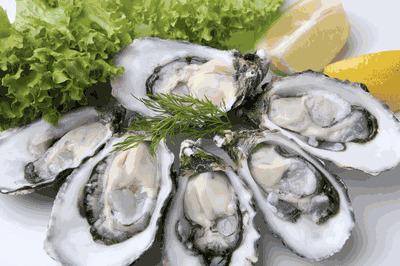 Order Fresh Matunuck Oysters By 10am EST, And Enjoy Them For Dinner Tomorrow! Oysters Also Make A Great Gift Idea For Your Favorite Seafood Lover! How Easy Is That! These oysters had a sweet taste that was unexpected. The oysters that I can get local can't compare. service!!!! Kudos to you all! Outstanding Oysters! Nice flavor, packaging and Fresh! Great Oysters! Juicy and sweet tasting. We loved them. Nice flavor and size. Oysters were super fresh! We ordered the Matunuks last week with the Ninigret kind. They were both excellent in taste and quality. We will order more, east coast oysters are the best.